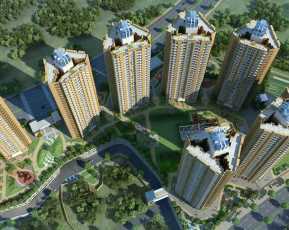 Godrej Emerald is the forthcoming residential development planned to develop by Godrej Properties in Thane of Mumbai. The master plan of Godrej Emerald offers you all the comforts of luxury homes with uninterrupted views of Yeoor hills, Ulhas rivulet, and forests finely laid over the scenic location of Ghodbunder Road Thane. Residents of Godrej Emerald for sure are going to enjoy fine living in the lavish development on Ghodbunder stretch with excellent commercial, retail and social infrastructure. 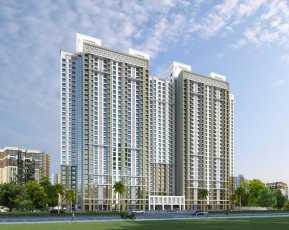 Godrej Emerald Thane is one of the iconic residential core of numerous grand residential units. 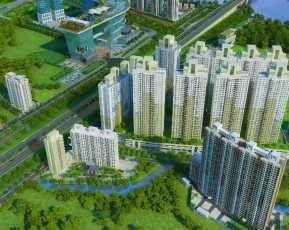 This upcoming residential development project Godrej Emerald is widespread in 6.3 acres of total land area. 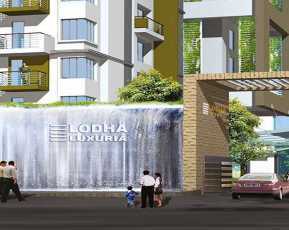 It gives you large choice in homes with smart typologies ranging from 1.5 BHK - 2 BHK – 3 BHK sets. Godrej Emerald premium residences are complemented by breathtaking views that ensure you wake up fresh and energetic every morning. This residential development is incorporated of 2.5 acres of the clubhouse and numerous premium attributes makes this Property in Mumbai valuable. This project Godrej Emerald is encircled of various renowned social hubs, medical services, banks, schools and reputed institutes for professional education. Civic upgradations along the stretch have helped the area get a major face-lift. The project Godrej Emerald is recently rated as the No.1 investment destination by CII-JLL, Thane promises good returns from property purchase and resale. 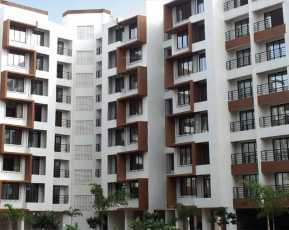 Godrej Properties has been remarkable in terms of real estate and distinct developments. This real estate company is not just limited to a specific region. It is sprawling distinguished developments in divergent zones of the nation in the real time. Godrej Emerald thane is going to be an acclaimed residential spot of Thane in future. Thane is attributed of numerous advantages in the real time. This vibrant suburb of Mumbai is a composite of the key number of enormous infrastructural development and innumerable real estate undertakings. The project Godrej Emerald location has a number of recreational hot spots and world class educational institutes in the vicinity that make it an upmarket commercial and residential destination. Also, it eminently connects to all parts of Mumbai and beyond via Eastern and Western Expressways. Connectivity to the major parts of the city via express road transits seems advantageous for this residential development. Ghodbunder road, Kolshet road, Mumbai- Agra highway, Eastern Expressway, NH-3 and number of additional rapid transits to migrate, in all we can say that you get a great connectivity range in this Property than other Property in Thane Location . Godrej Emerald Plan your future with the distinguished habitation of this era! Based on 26 recommendations Would you recommend this Property?